...you didn't know about me. Today I'm linking up with one of my favorite bloggers, JD from Honest Mom, who was sweet enough to invite all of us non-BlogHer attendee losers to link up with her fun idea of getting to know each other. I am a very loyal person. It's a great quality when we're talking about other people, but when it comes to stores and brands, it's kind of silly. And when it applies to, oh, say a hairdresser who hasn't given me a decent haircut in years, it can actually be a bit detrimental and stubborn. I blame it on the fact that my birthday is in May, so I fall under the sign of the Bull. I played soccer for over ten years, and I was actually pretty good. You'd think I'd be a better runner and not complain about it so much, but soccer is really about sprinting, then jogging, then walking, then sprinting, and walking and jogging, which is really what I do anyway when I say I "run." That said, I have two huge regrets about high school. I hated high school. They definitely were not the best years of my life. I wish I would have tried harder during varsity soccer try-outs. Looking back at the girls who made the team, I know I still wouldn't have made it, but at least I could say I gave it my all. My other regret is that I didn't take journalism (read why in my very first post). Then maybe I wouldn't be 42 and trying to finally do what I've always wanted to do. I have horrible self-esteem, which is no surprise to anyone who has been reading my blog for a while. Just as well as I can write about having good self-esteem, I can fake my way into having it at times. I think it comes off to some people as being snobby when it's actually just a defense mechanism. I am absolutely terrified of heights. I can't even stand next to the railing at the mall. I got stuck on top of a pyramid in Mexico on my honeymoon because I was too scared to descend the narrow steps down to the ground. My bucket list includes hiking to the bottom of the Grand Canyon, spending the night, and hiking out the next day (yeah, I know what I said in #6), going on a safari in Africa in honor of Joey who loved animals, and having a romantic second honeymoon in Greece (no climbing anything included). I also, of course, want to publish a book. My 100th post is coming up, and I hear it's blogger tradition to write a post with 100 things about yourself. One of the things is bound to be that I'm a cheater because I'll likely use these seven as well. If you're new to my blog, welcome!! Read some of my favorite posts to learn more about me and my story. 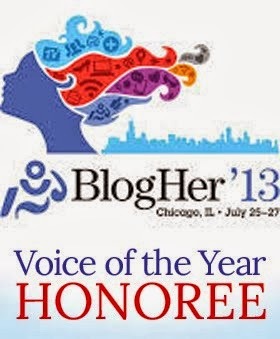 And if you like what you read, click the button to the left to vote for me as a Best Mom Blog. Thanks! Hope to see you again.